The Movement’s stewardship arrangements were guided by the recommendations of the 2014 Independent Comprehensive Evaluation. 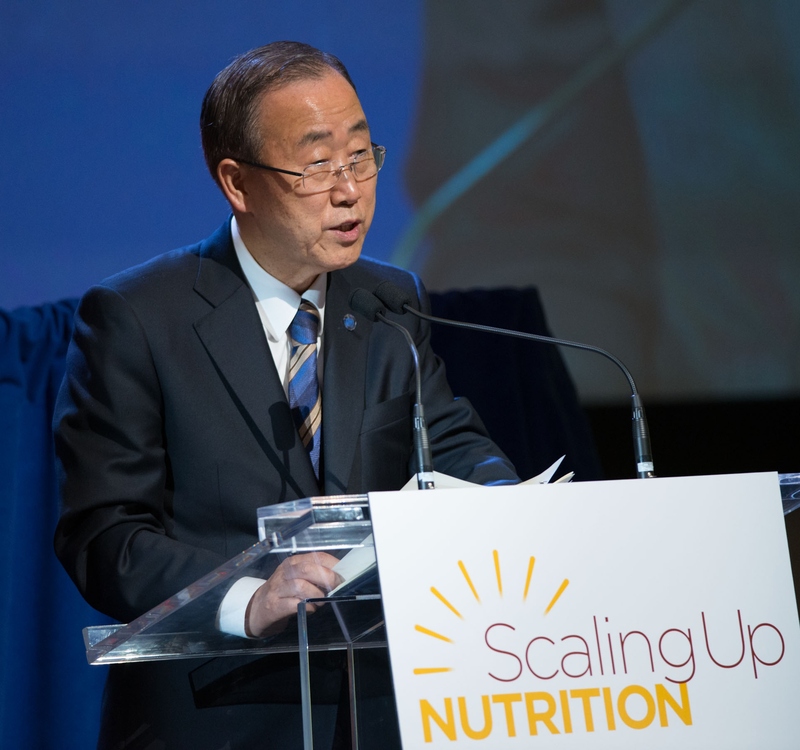 They helped to catalyse guidance on strategic objectives and operating modalities which could deliver the goal of ending malnutrition in all its forms by 2030. Stewardship of the second phase of the SUN Movement (2016-2020) was enabled by a United Nations Secretary-General nomination of a SUN Movement Coordinator and of members of a SUN Movement Lead Group. This was further strengthened with the support of a SUN Movement Executive Committee, appointed by the Chair of the SUN Movement Lead Group. A SUN Movement Ethical Framework has been developed for individuals in the Movement to use as a guide to ethical behaviour. The framework ensures that space is provided for aspects of transparency and accountability of the Movement’s stewardship arrangements and support system, so that they can be easily assessed by those inside and outside of the Movement. Former UN Secretary-General, Ban Ki-moon, at a high-level event for the SUN Movement.